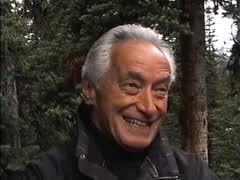 AHA MEDIA will be filming at TAKE BACK CANADA with MEL HURTIG! Vancouver, BC January 27, 2012. Subhead: Proposed Jasper National Park privatization and sale of Canadian publisher McClelland and Stewart riles Order of Canada holder. 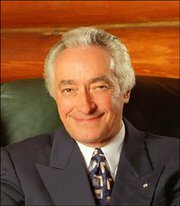 Reeling from the news that two of Canada’s national treasures are being traded away, the man who founded both the Council of Canadians and the National Party of Canada will soon be speaking in Vancouver at an event entitled “Take Back Canada!” Order of Canada recipient Mel Hurtig will share his reaction to two new developments that have rocked Canadian patriots in recent weeks: the Harper government’s push to privatize part of Jasper National Park, and the recent sale of Canadian publishing stalwart McClelland and Stewart to Random House,a division of the German media giant Bertelsmann. Meta is a former independent bookseller and founder of Downtown Eastside non-profit dedicated to self-employment of residents of Strathcona/DTES. Hurtig established his own publishing company in the early 1970s, published the landmark Canadian Encyclopedia in the mid-’80s before selling the company to the venerable Canadian publisher McClelland and Stewart in 1991. Random House of Canada became the sole owner this month, taking over the 75 per cent that had belonged to the University of Toronto Press. Hurtig has been speaking off about the sell off of all things Canadian for the past 40 years … and these two Harper initiatives are just two of the increasingly dismal sell offs of all things “Canadian”. Hurtig considers the sale of McLelland and Stewart “extremely painful” both personally and nationally. McClelland and Stewart was founded in 1906, and was to have published Hurtig’s next book, a deal which he is now considering canceling. Another development which has riled Hurtig and other Canada boosters is a proposal by the Harper government to allow what is essentially an American company to build a 300-metre metal walkway over the world-famous Columbia Icefields Parkway, in Jasper National Park. If approved, the walkway will be built by Brewster Canada – a travel company that is an 80 percent-owned subsidiary of the American-based company VIAD. Hurtig and other critics say the plan would not only spur development, but give an American company the right to charge Canadians for entry into parts of Jasper park. – 2010 Dundas East Street Vancouver, BC. FB INVITE: TAKE BACK CANADA!